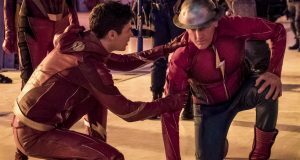 We’re only a few hours away from seeing more of Grant Gustin as Barry Allen on Arrow, and following the final moments of last week’s show, “The Scientist,” we get to see how Barry fits in with the Arrow team. 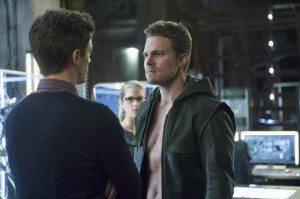 Obviously, Oliver is not going to be too happy that someone new is finding out his secret. “Watching Barry sort of be both a fish out of water in our world but also how quickly he blends into the team and how at the end of the day Oliver just wants the job done and Barry helps get the job done – that’s sort of the saving grace for him,” Kreisberg continued. 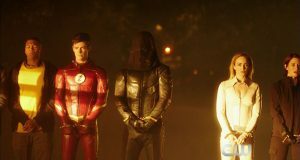 Don’t miss the Arrow episode “Three Ghosts” tonight at 8PM on The CW! Here are a whole lot of pictures! Next: Is A Ghostbuster Up For The Role Of Iris West’s Father?